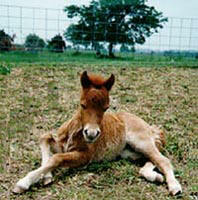 The first foal born at Unicorner! 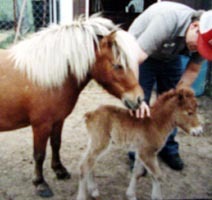 This cute sorrel colt was born 5-4-95. 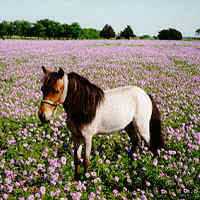 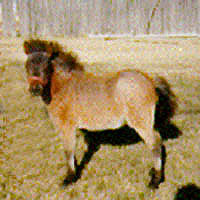 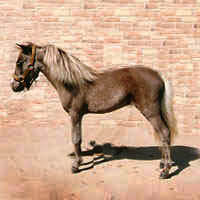 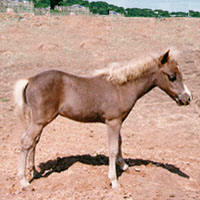 This silver dapple miniature horse colt was born 4-16-1995. 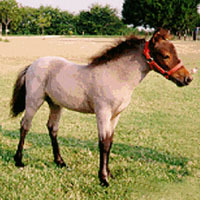 Token was sold to a family in South Texas. 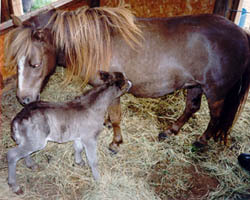 This bay roan filly was born in 6-20-95. 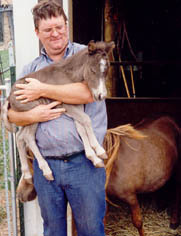 She was named Charm, because she was our third baby, and the third time was a CHARM!